6-bed apartment. 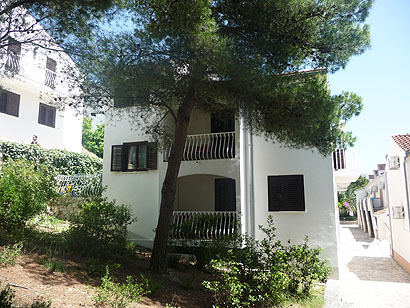 Includes 4 rooms, kitchen, bathroom, toilet, terrace, AirCondition, SAT TV, Floor area size: 50 m2 Distance from sea: 50 m \"Lavica\" tourist village is located in the first row by the sea, with a view on pine trees above the sea. 4-bed apartment. Includes 2 rooms, kitchen, bathroom, toilet, terrace, AirCondition, SAT TV, Floor area size: 43 m2Distance from sea: 50 m?Lavica? tourist village is located in the first row by the sea, with a view on pine trees above the sea.